Data can hold many secrets. Our data analytics consultants and data scientists can help you unlock the value from your data and present it in easy to understand visualisations. Organisations have learned that the smartest business decisions are based on fact, not gut feel. Dashboards and reports using state of the art statistical methods and visualisation techniques can answer crucial business questions. And, with advanced analytics, machine learning and predictive analytics models can transform business planning and decision making. You may already own Microsoft’s latest big data analytics solutions comprising tools including SQL and Power BI, both with R integration, as well as Microsoft Excel. Get in touch when you need help exploring your data. 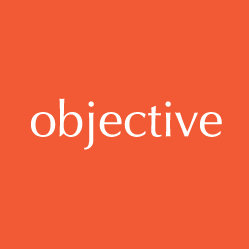 Objective IT punch way above their weight, although an SME, Objective IT has the skills to deliver. We offer marketing savvy professionals working alongside leading edge data scientists to bring you innovative and practical insights into your business. With a growing, dedicated team undertaking advanced analytics we help our clients innovate and gain competitive edge just by listening to their own data. By analysing their data, we have helped our small to medium sized clients understand correlations between activities in their business; helping them gain data insights and business intelligence including identifying and understanding their most and least valuable customers and suppliers. Working with our larger clients, we have a fantastic success rate in using predictive analytics in identifying previously unknown business leads and significantly increasing sales pipelines. Using Microsoft Power BI, a suite of business intelligence software. You’ll get answers quickly with rich dashboards and informative customer and business analytics visualisations. Building predictive analytics models by applying machine learning algorithms to answer your key business questions. Take a look at our blog “How to get your data to talk to you” – which explains some of the terminology and provides illustrations. We utilise Microsoft Data Analytics technologies such as Microsoft Azure Machine Learning Studio and Microsoft R Open, a leading statistical software ecosystem for data science. Investigating business analytics, which encompasses more than data analytics to synthesise data trends and competitive drivers in the competitive business environment. Extracting value and insight from relevant data using Microsoft SQL Server Integration Services (SSIS) and third party systems to feed into our analysis software. Creating data warehouses, having a ‘single customer view’ database provides a multi-channel picture, which is a major step towards delivering successful big data analytics.